After having a tasty crepe at Jean-Philippe we met the girls at the pool. 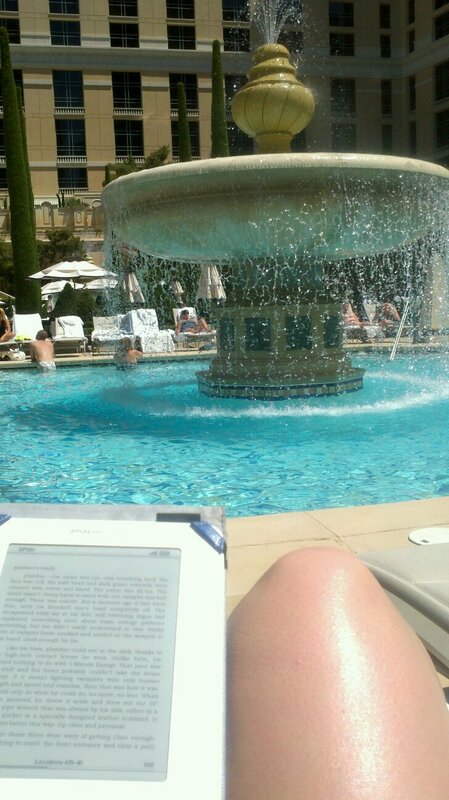 Reading my Kindle and watching the fountain was a great way to spend the morning. I drank the full 1.5 liters of water that I bought read and when I wanted a cold shock, I headed into the freezing cold water too cool off. About 2 PM, I needed to get out of the heat so, I tried to head back to the Flamingo, but got the Tram and Monorail mixed up so took a detour through Crystals before catching a short cab back to the Flamingo. After the nap, I went to Serendipity 3 for dinner. The prices were a little bit of sticker shock, but then I saw how huge my BLT was! Day 4 – I woke up with a very stuffy head and VERY red eyes, so I decided to stay in the AC in the morning and get the pedicure that I had been thinking about for weeks. Got an appointment in the salon and then talked to the girls and said I would meet them about 2 PM. Pedicure was lovely, basically sometimes you have to let the ladies do what they want…so OPI’s Siberian Nights with Teenage Dream layered on top is what I got. 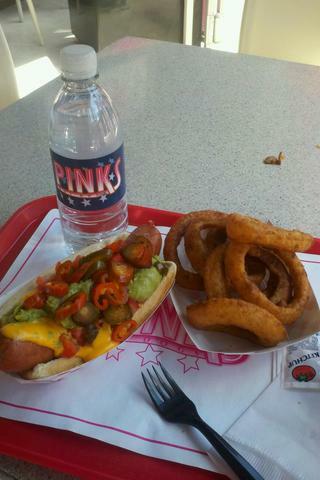 After the pedicure I headed to Pink’s Hot Dogs to get lunch. Pink’s was fantastic. 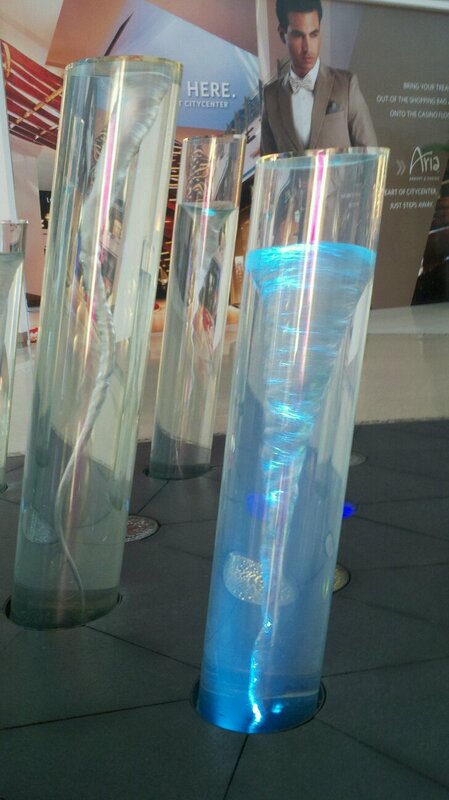 Highly recommend although it can be difficult to find if you actually go inside Planet Hollywood to look for it. Signage is much better outside and you can see its patio. Then the agenda was back to the pool until about 5. I went back to the hotel, rested, slept for my early AM flight in the morning back home in the real world. PS – Once I got to the airport, I remembered that I had a sinus infection the last time I went to Vegas (a few years ago in September) and wore my glasses a lot when I came the first time (a year before that in October). So, after this trip I can pretty much confirm that I am allergic to sagebrush, which is why after 2 days in Vegas in the summer or fall will not be on my trip itinerary in the future. But at least it explains why I all I want to do in Vegas is sleep and can’t spend more than 4 hours outside before my eyes are bright red and puffy.